The origin of the word “pergola” described tall arched structures on which grapevines climbed. They were often used in vineyards, private homes or found along scenic landscapes. 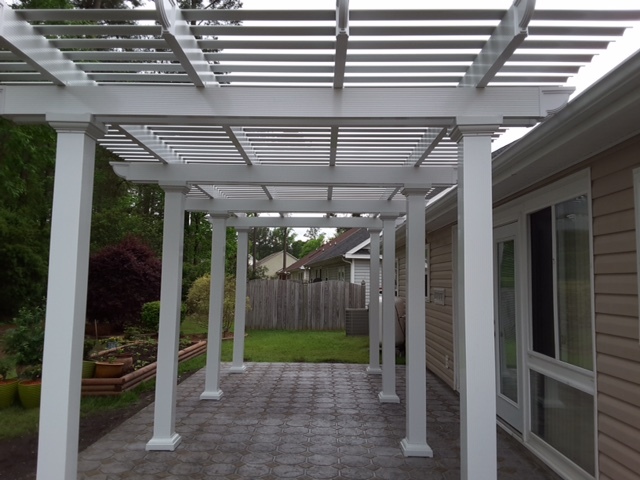 In home improvement, a pergola has come to mean an outdoor patio structure formed of horizontal trelliswork supported on columns or posts. When it comes to the origination of Southern Leisure Builders pergola, pavilion or garden arbor style, look no further than Italy’s architectural history. Here in the states they call them Patio Covers. 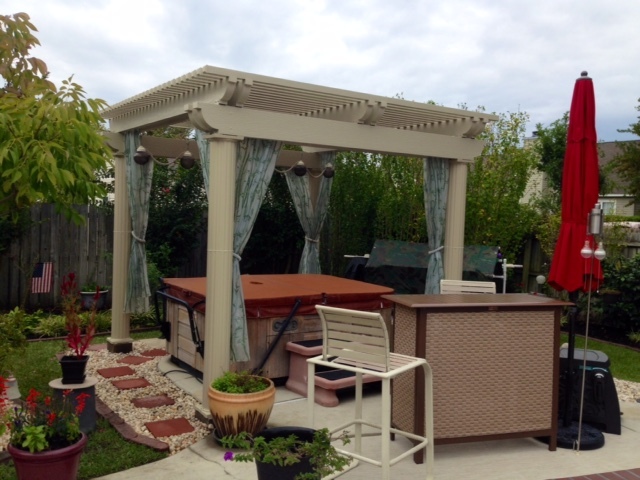 Anyway you say it they are just the product to maximize your back yard living space. 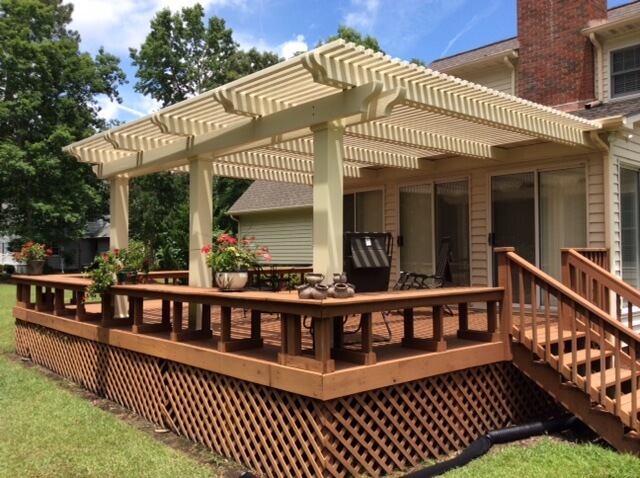 Pergolas can add a new element of style, elegance and character to your home and gardens while providing you with an area of shade in which to relax and enjoy the outdoors. 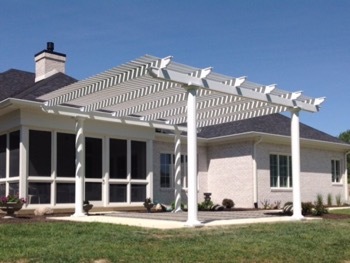 Our pergolas have a unique curved lattice roof that offers protection from the sun. They also feature beautiful columns, inspired by the rich architectural history of Italy, available in Roma, Florentine, and Venetian designs.